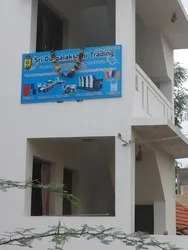 Established in the year 2013, Sri Durgalakshmi Impex is successfully engaged in manufacturing, supplying import and export a wide gamut of Designer Bags and Bag Making Machines. Our entire offered range is made using high grade raw-material sourced from the famed vendors of the market, in accordance with the international quality standards and norms. Designed and developed under the supervision of our skilled and highly qualified technocrats, this range is available in various dimensions, sizes and technical specifications. Our products are widely acknowledged in the market for its rugged construction, dimensional accuracy, longer service life and resistance to corrosion. We also provide installation services for our machinery. We export our products in East Europe, East Asia, Middle East, South East Asia, Indian Subcontinent & South/West Africa. With the support of our experienced and highly dedicated team of professionals, our organization is rapidly progressing towards the remarkable heights of success. We have appointed our professionals on the basis of their industrial experience, skill and knowledge by conducting various recruitment tests. Our professionals strive to serve our patrons as par their specific requirements and thus maintain a healthy working environment among themselves. Our organization is aimed at conquering the worldwide market segments and hence, we have established a sophisticated infrastructure facility to have a streamlined execution of all the organization goals. 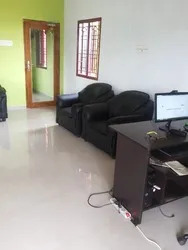 This facility is segregated into various units and these are managed by our deft team of professionals and are well-defined with various latest manufacturing technologies and machines. Moreover, we have established a separate quality testing unit with in the facility itself used to examine all the raw-material and finished products. Besides this, we ensure that a flawless and defect-free range of products are delivered at our clients doorstep within the promised time frame. Furthermore, to provide comfort and convenience to our clients, our organization is accepting payments through various ease modes of transactions. Hence, with our ethical business polices, client-centric organization, timely delivery of all the consignments, we have succeed to acquire a trustworthy position among the worldwide clients. Under the valued guidance of our mentor and managing director, 'Mrs. S. Rajalakshmi', we have succeed to gratify the needs of patrons and stay ahead of our competitors. Her vast industrial experience, business skills and deep knowledge of the industry, have enabled us to garner a huge clientele for ourselves. We want dealer for bag making machine and bags no need to deposit any amount only want hard work. Sri Durgalakshmi Impex has succeed in gaining the trusts of numerous number of clients within a very short span of time. Being an client-centric organization, we are engaged in serving our esteemed customers with a unparalleled range of Designer Bags and Bag Making Machines. We manufacture our offered range as par the international quality parameters and offer it in various design and specifications. Moreover, we are offering customization solution to our clients and ensure that all the consignments are delivered within the stipulated time-frame. Moreover, we also hold expertise in meeting urgent and bulk consignments also. Finally, with our fair and ethical, client-centric approaches, timely delivery, we have succeed in creating a great niche for ourselves.